Bring clothing appropriate to the season, Fall months can be chilly with temperatures dropping into the 50’s at night. You will need protection from the sun, wind and weather in the form of jackets, hats, sunscreen and sunglasses. Long pants and shorts should also be in your arsenal so you can layer as the conditions change. Spring and Summer weather can alternatively be cool to downright hot (we have air-conditioning in all rooms at the lodge) as the island is mostly desert and sees very little precipitation during the summer. Prepare for sun exposure, bring sunblock, hats, UV protected shirts, shorts and maybe a pair of long pants for the evening hours. Once again, the idea here is to layer your clothing. We do have a laundry service available to you at the lodge. Bring your fishing gear. Rods, reels and tackle, but be advised to bring only what you need and don’t over pack as there is a limit of weight we can carry on the aircraft going over to the island. Additional items of gear over the limit will cost additional money to transport. We do have some Okuma Rod & Reel set ups at the lodge. First timers get free rental after that there is a small service fee for rental. See the Gear page for specifics on gear and tackle. 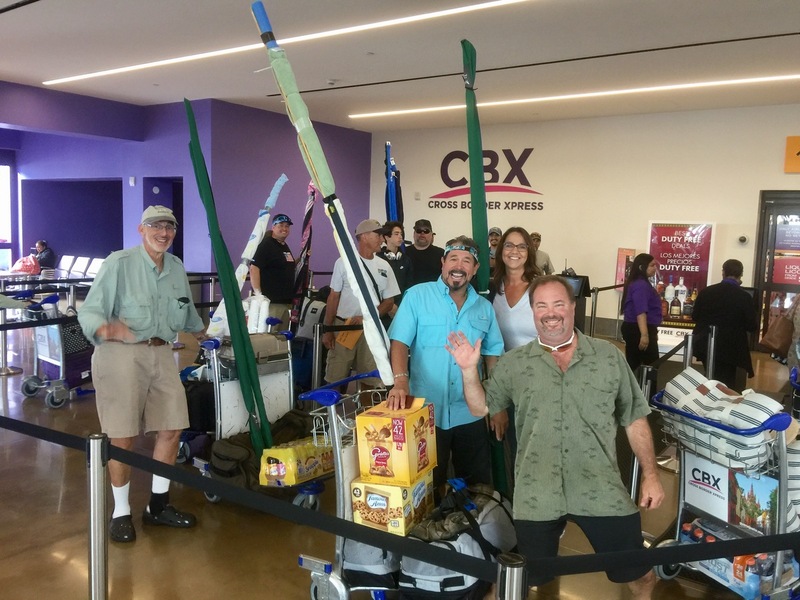 Cedros Sportfishing is pleased to be the first fishing lodge on Isla de Cedros to offer direct flights from the CBX (CrossBorderXpress) in Otay Mesa via the Tijuana International Airport. This direct flight now saves our guests up to 15 hours, or more, in round trip travel time. 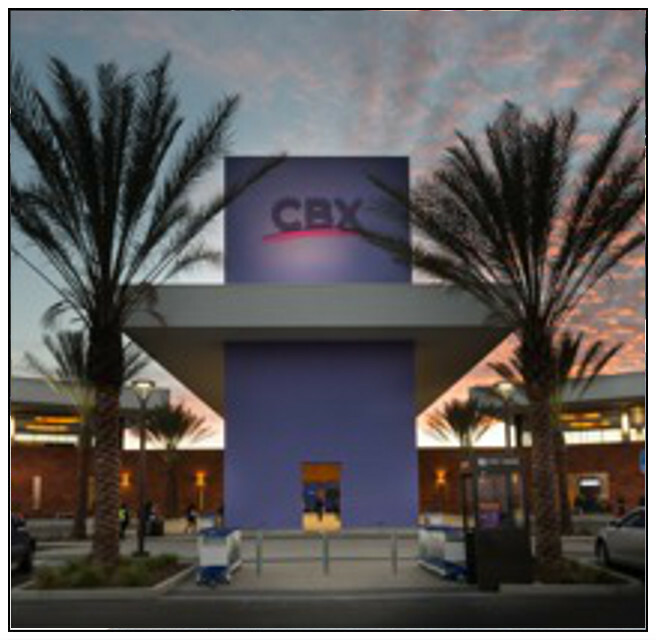 The CBX is located 15 minutes south of downtown San Diego and offers secure parking that is patrolled 24/7. This facility was built in 2015 linking San Diego to the Tijuana International Airport through a skybridge. 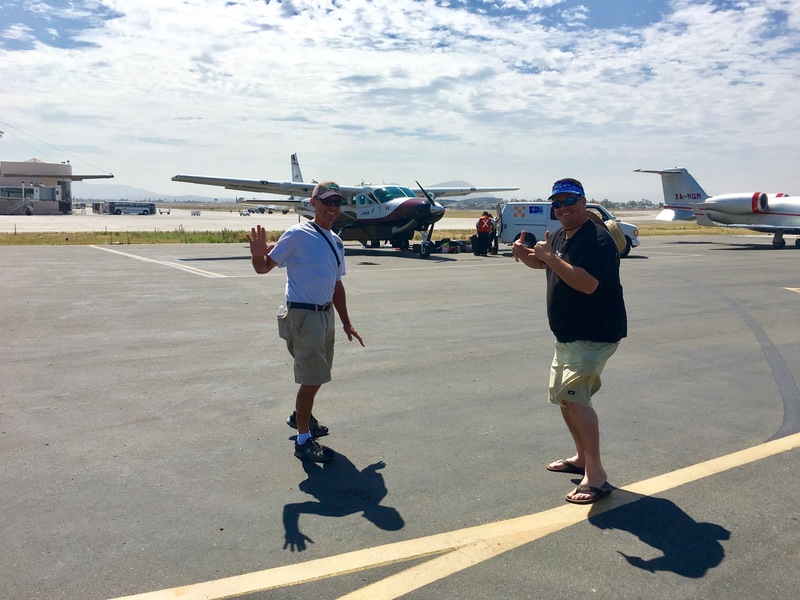 Cedros Sportfishing has partnered up with ASG and chartered a Cessna Grand Caravan to fly guests to Cedros Island. It is a 2 hour flight from Tijuana to Cedros Island. When you land on the island, the Cedros Sportfishing Crew will be at the airport to greet you. Walk over to the van, there will be a cooler with colds drinks, please help yourself as the aircraft is being unloaded. Please note that there is a drug sniffling canine that will go through your luggage. (Medical marijuana may be legal in the U.S., but that does not mean it is legal in Mexico.) Our crew will get your gear and luggage, load it into our trucks and van and take you to the lodge, about a 15 minute drive. Once at the lodge, they will help you to get settled into your rooms and an appetizer/lunch will be provided. Please note that valid passports or passport cards are required to enter and leave Mexico through customs. Also, be advised that businesses on Cedros do not take credit cards/debit cards and there are no ATM’s on the island. U.S. dollars and pesos are accepted at most places on the island. There is an exchange in the lobby at the CBX if you would like to exchange dollars for pesos. There are small markets on the island for snacks, shirts, beer, alcohol and the tortillas are epic! Take a dozen or two home! We have some terminal tackle available for purchase at our lodge. Salas Lures, Hookup Baits & Phenix Baits...see Richard for details and availability. *DISCLAIMER REGARDING AIR TRAVEL; Cedros Sportfishing is not an airline nor associated in any way with any airline and therefore cannot warrant or guarantee safety, schedules or other services. CSF purchases tickets from regional commercial carriers or charter companies (depending on the package) on behalf of our clients, solely for their convenience..